Steindorff® Basic microscopes are recommended for the hobbyist and educational applications grades 7 thru high school. All models are sturdy and well balanced and come standard with a wide field 10X eyepiece. The stage is 115 mm x 120mm, available with drilled stage clips or optional mechanical stage. Built in 0.65 N.A. condenser is standard with an optional Abbe condenser 1.25 N.A. Illumination is with bright new LED illumination. All models feature coated DIN objectives. There are a wide variety of models and formats available for any type of application. 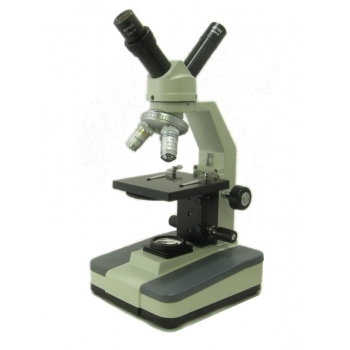 All microscopes come with a manufactures five year warranty and a FREE one year extended warranty for a total of six years. Click the button below to add the Steindorff® S200DV Dual View Teaching Microscope to your wish list.